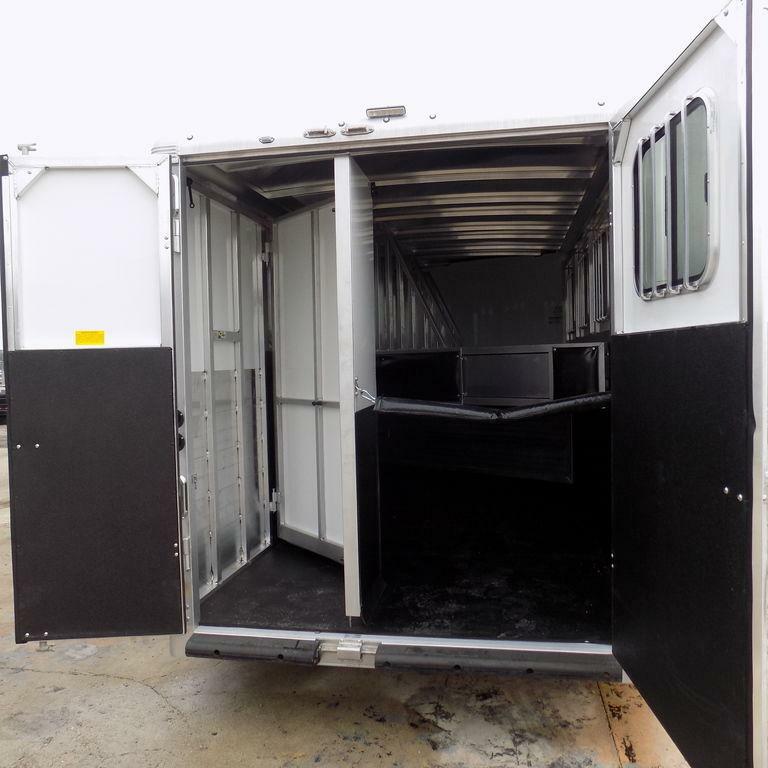 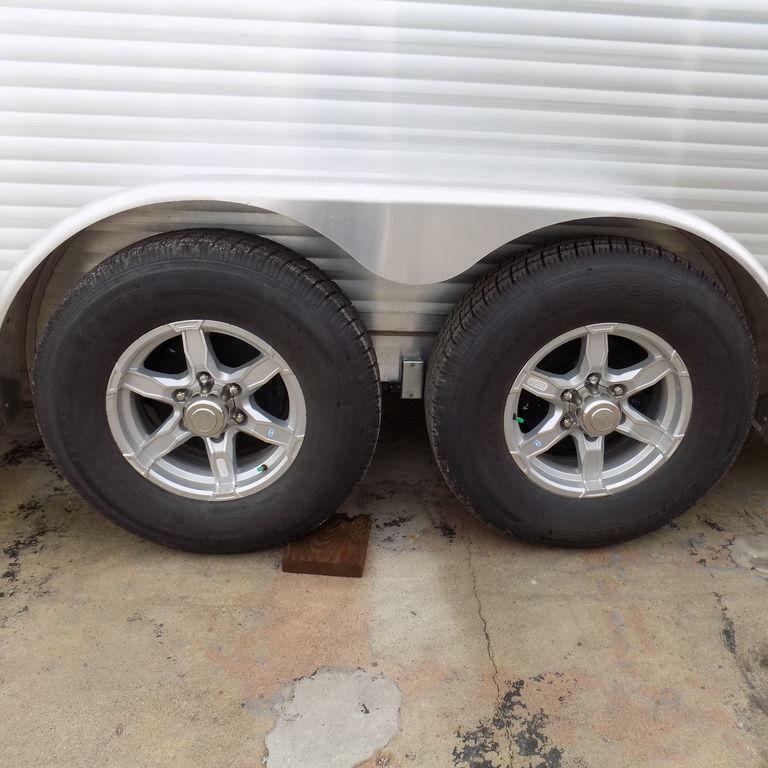 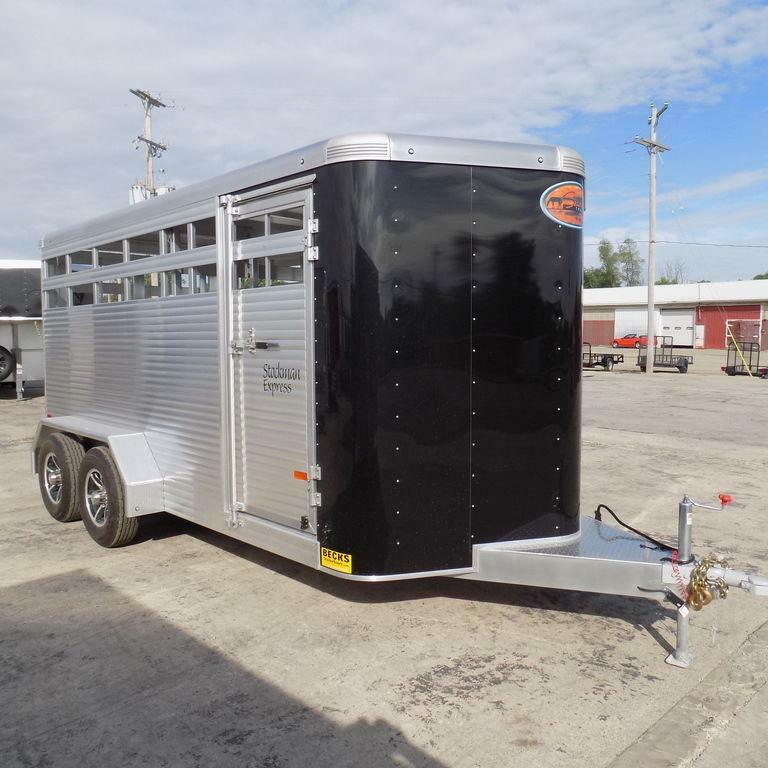 New Sundowner Super Sport Gooseneck 4 Horse Salnt Load Trailer | Beck's Trailer Store | Michigan's Largest Trailer Dealer | New And Used Trailers For Sale And Rent. 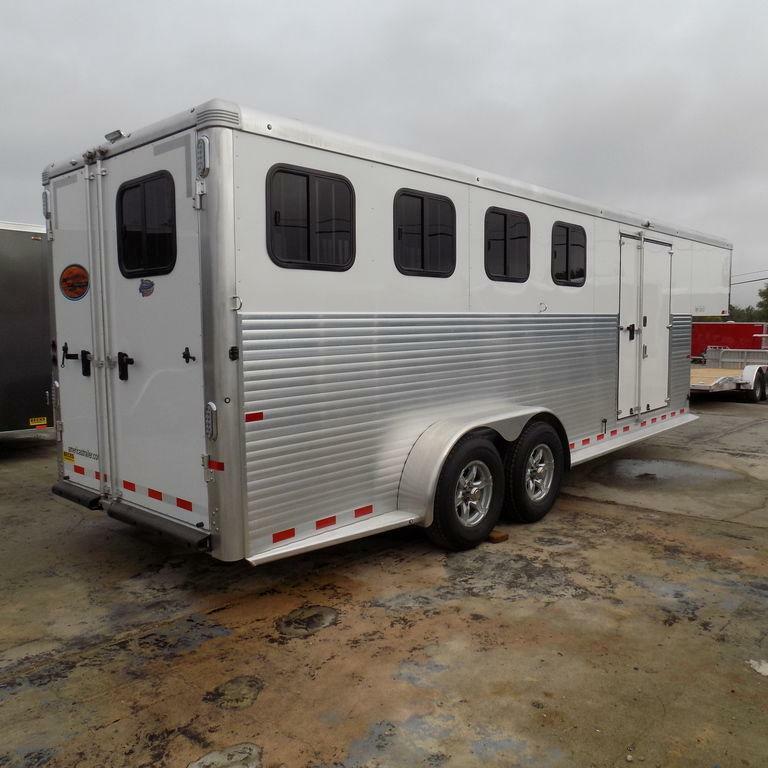 Monthly payment as low as $329.00! 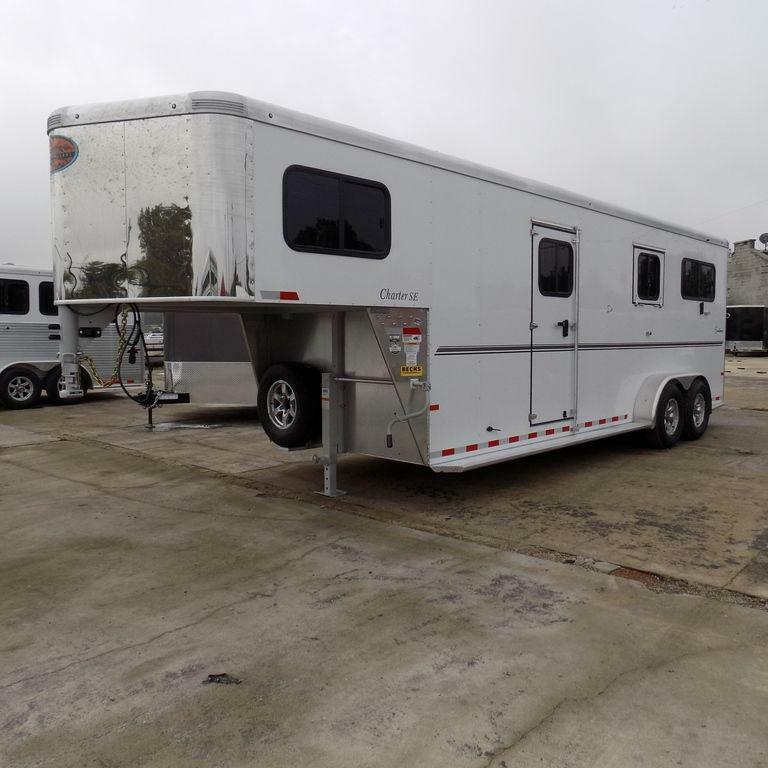 Model: Super Sport Gooseneck 4H Gooseneck-Payments of $329/mo. 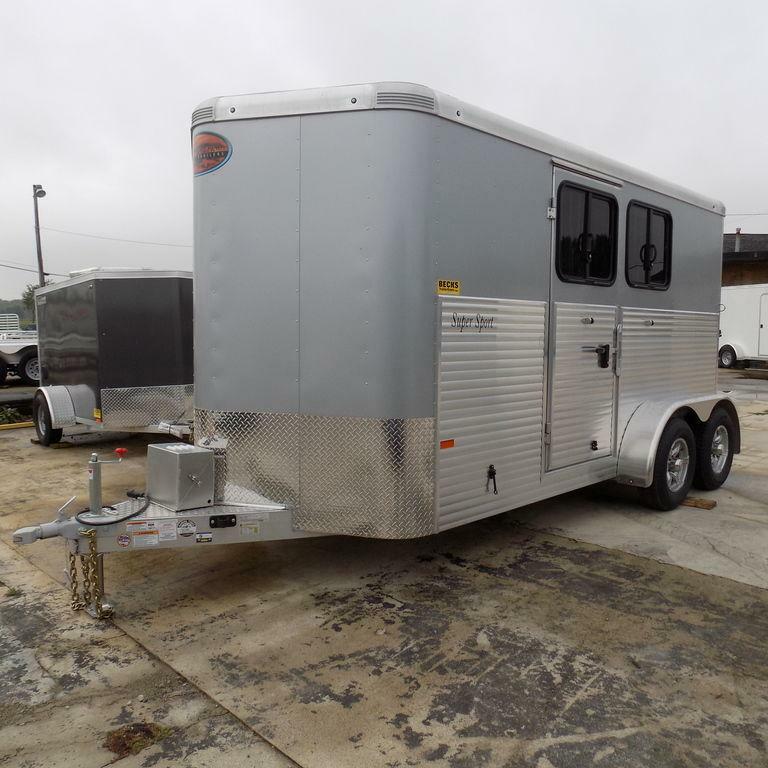 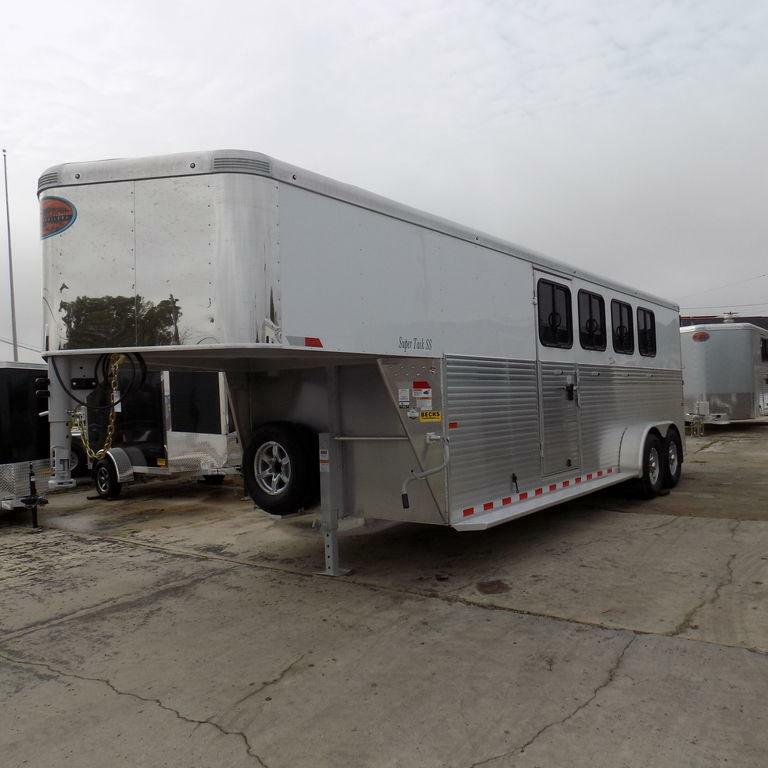 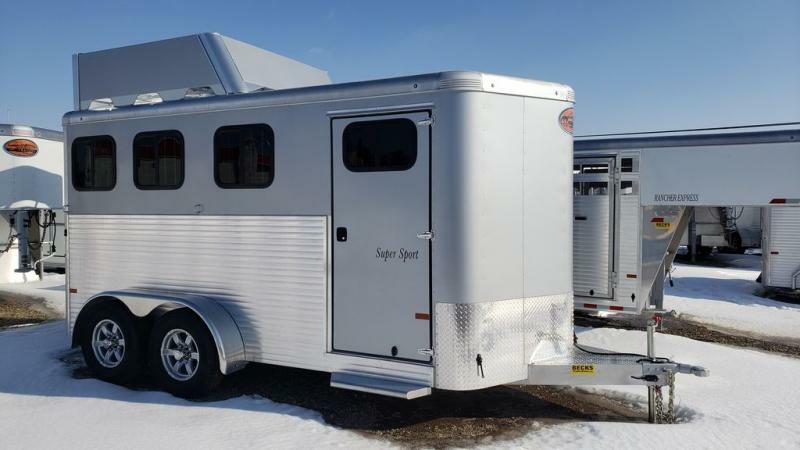 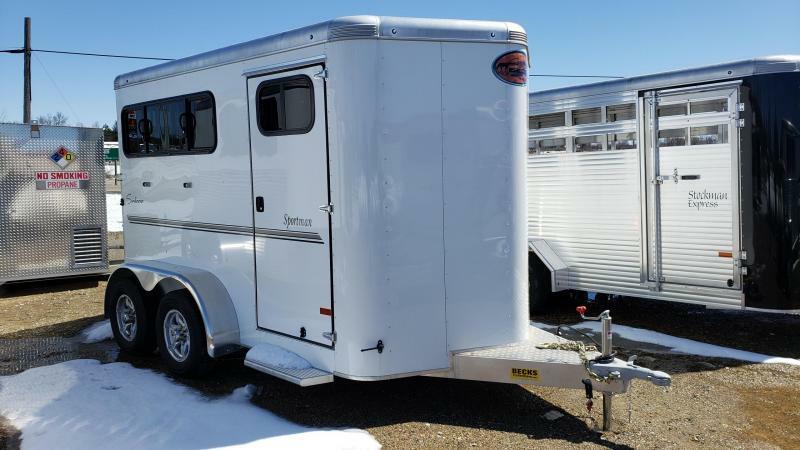 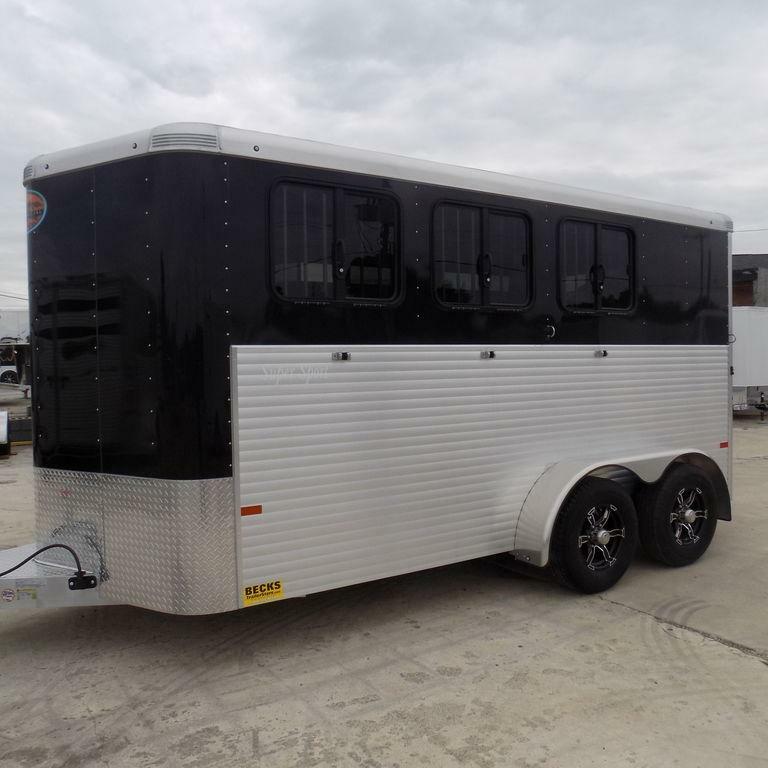 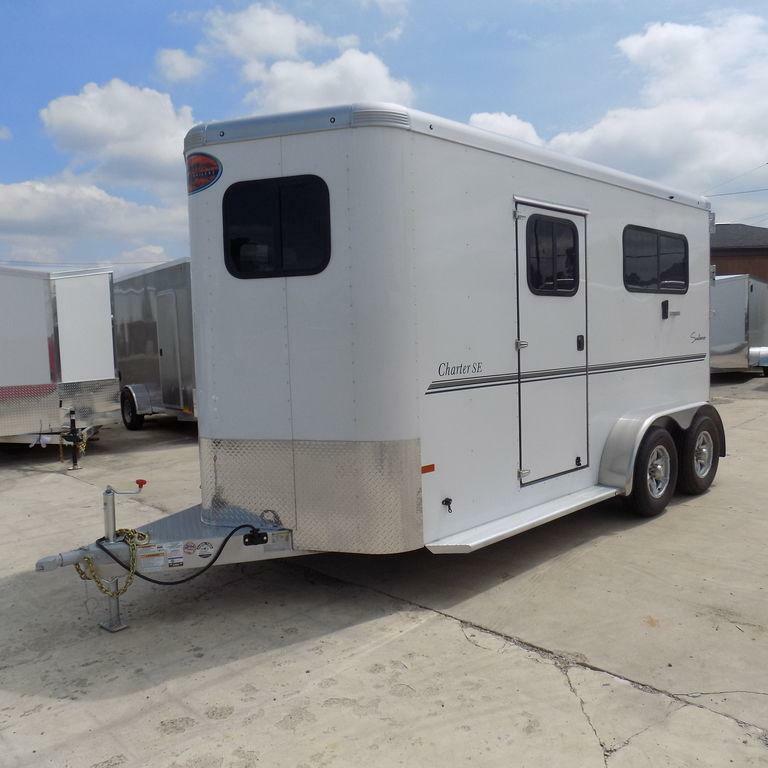 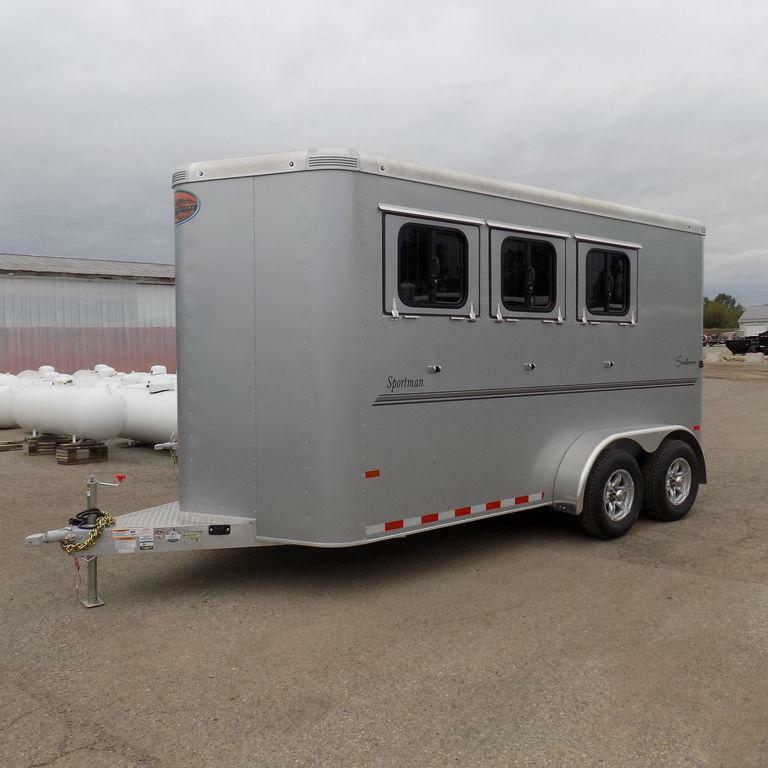 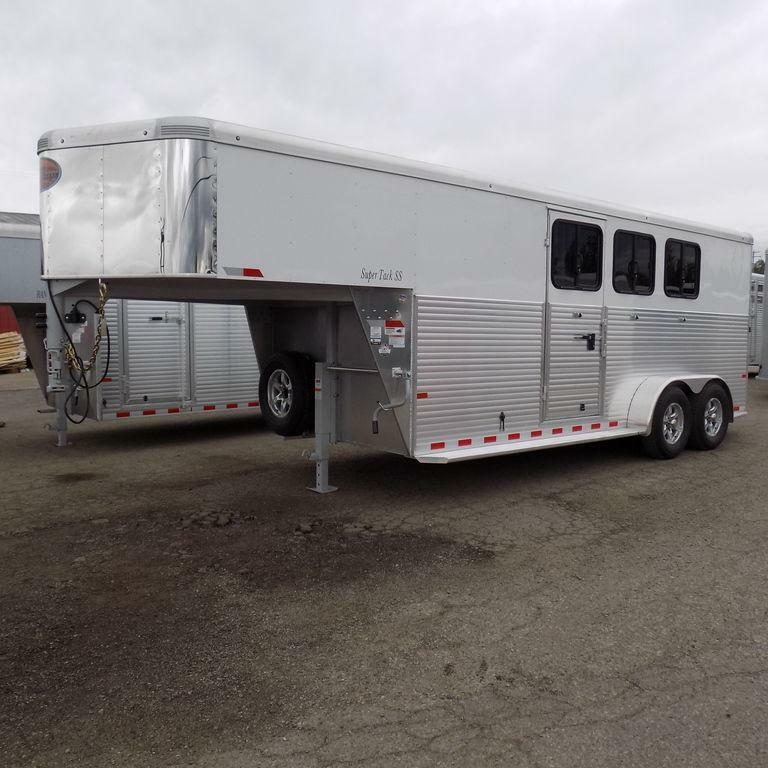 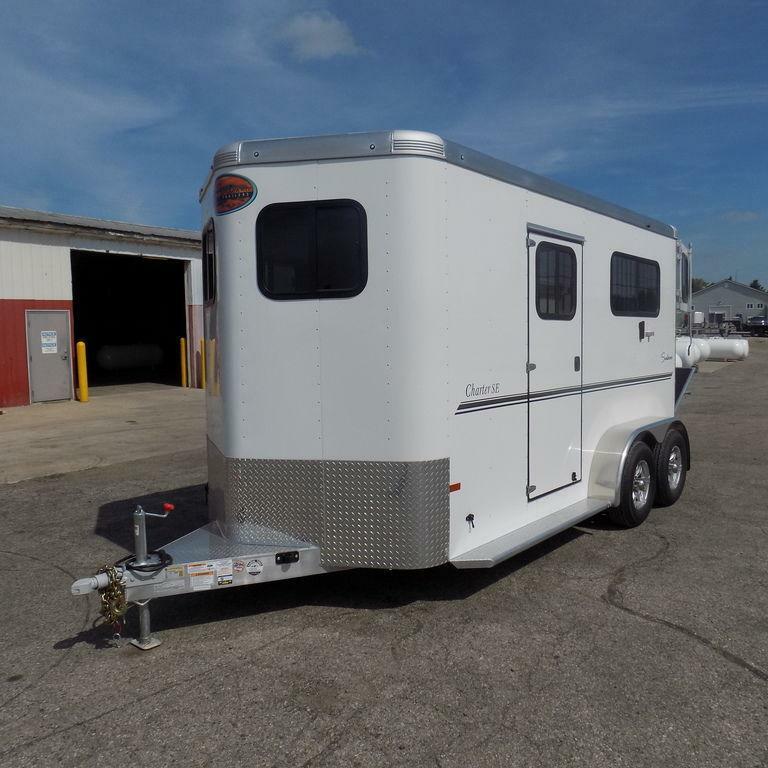 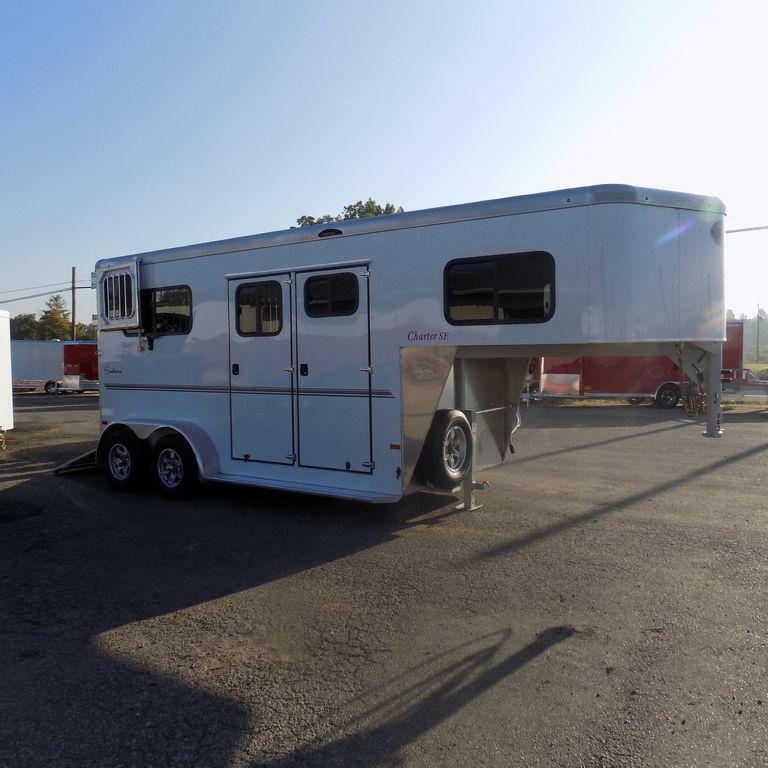 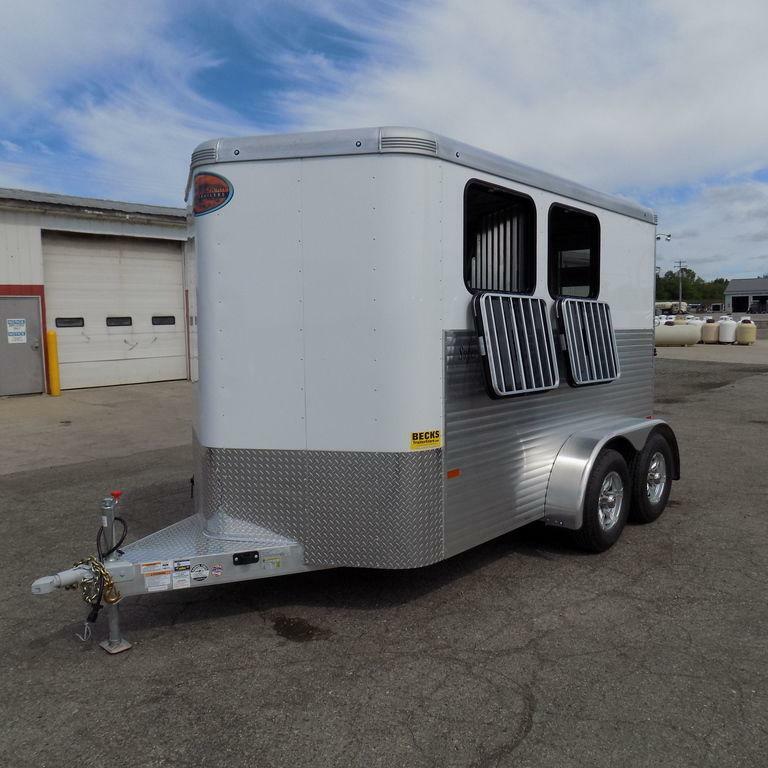 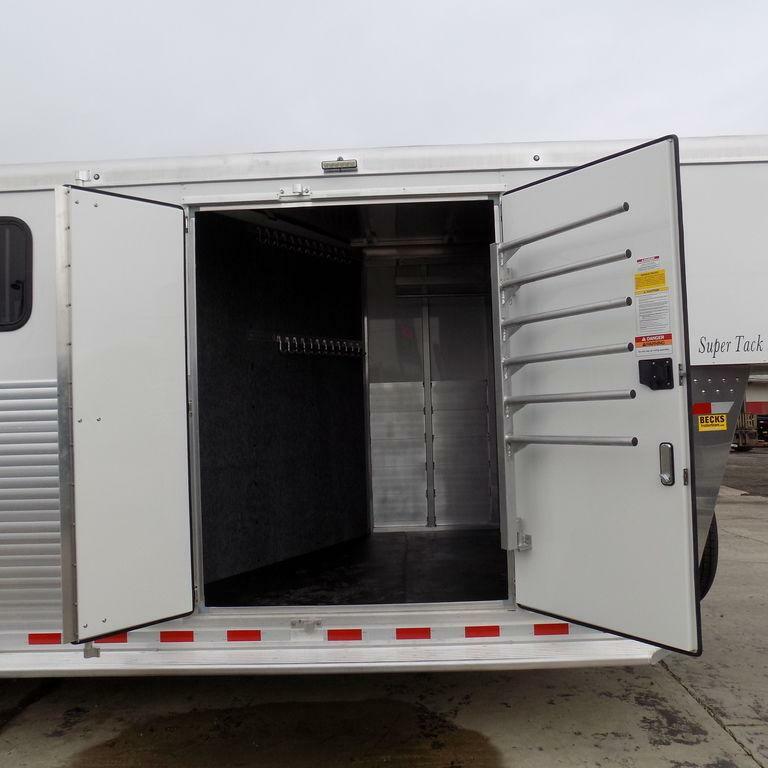 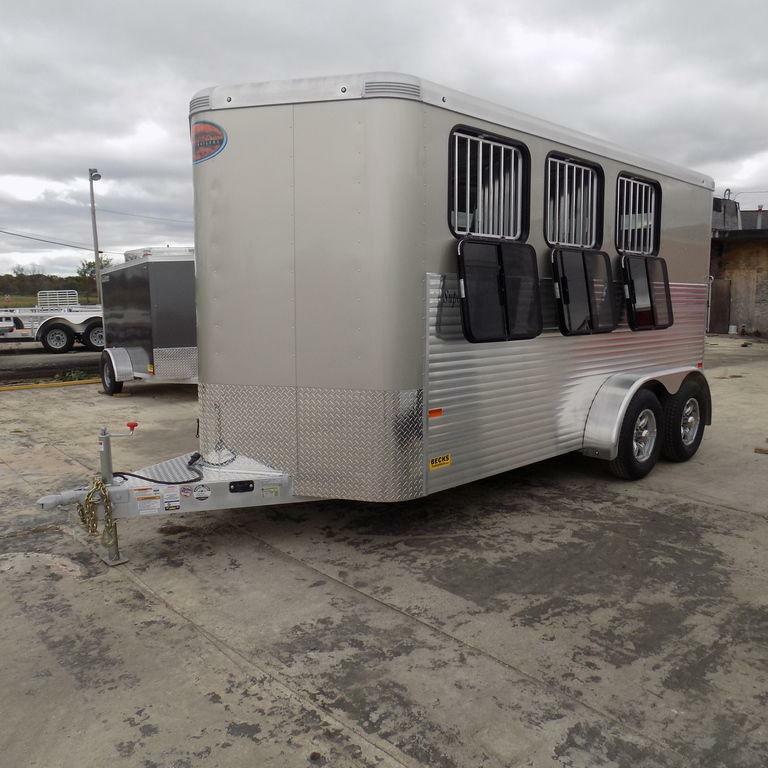 The Super Sport is an all aluminum slant load horse trailer designed for the versatility that many horse enthusiasts are searching for today. 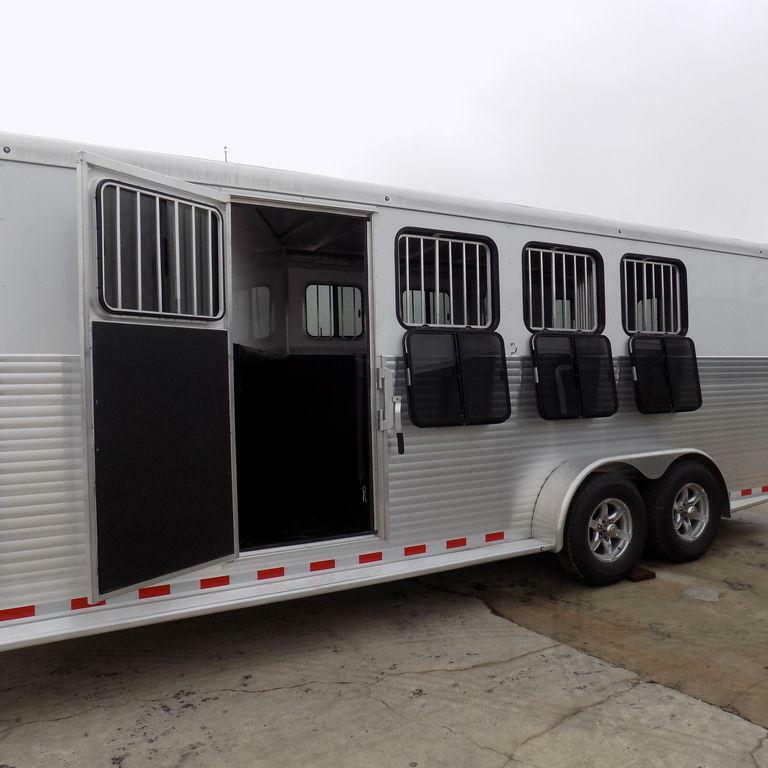 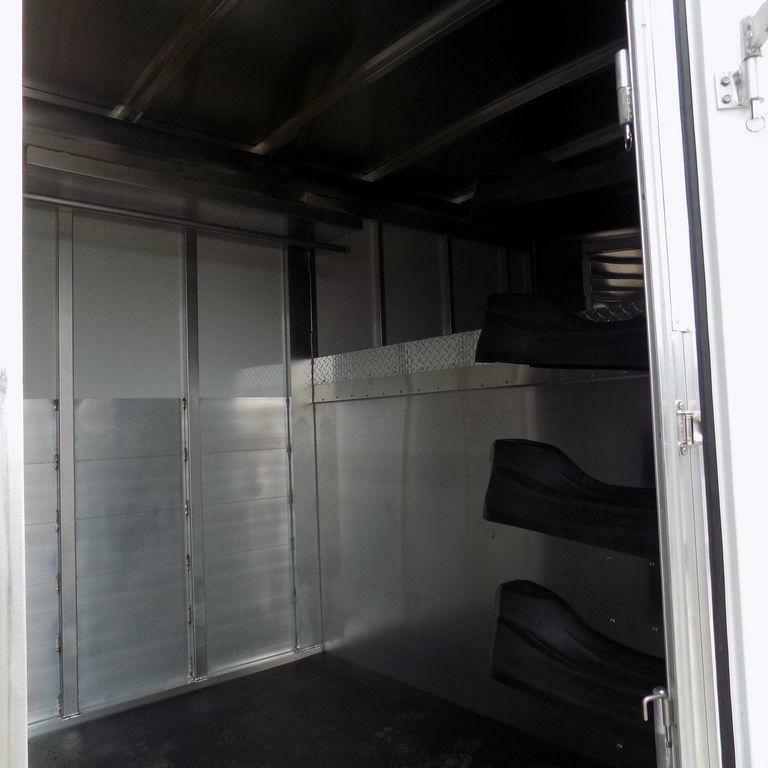 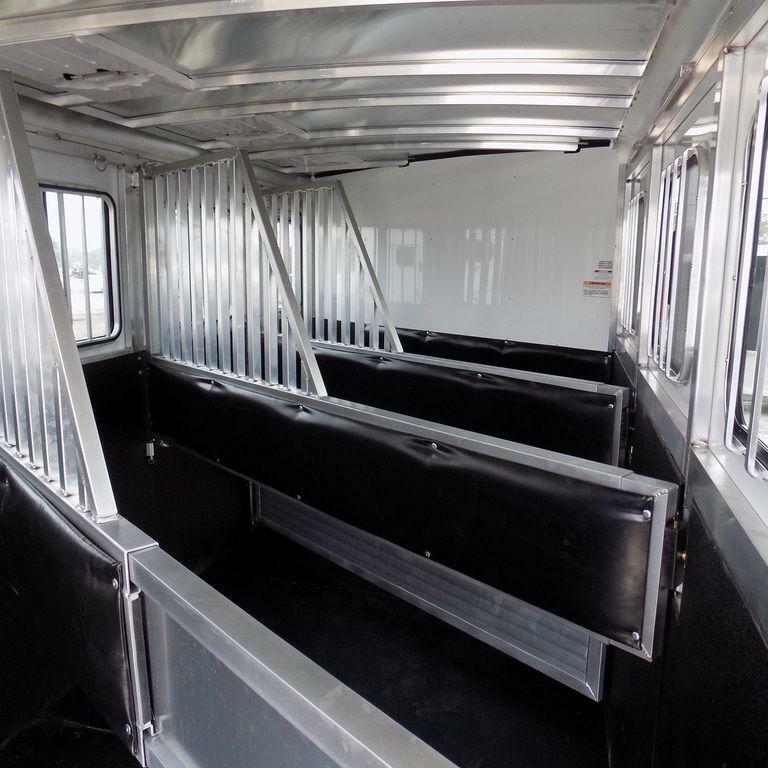 It has drop down feed windows with face grills on the head side and Plexiglas on the rump side and rear gate. 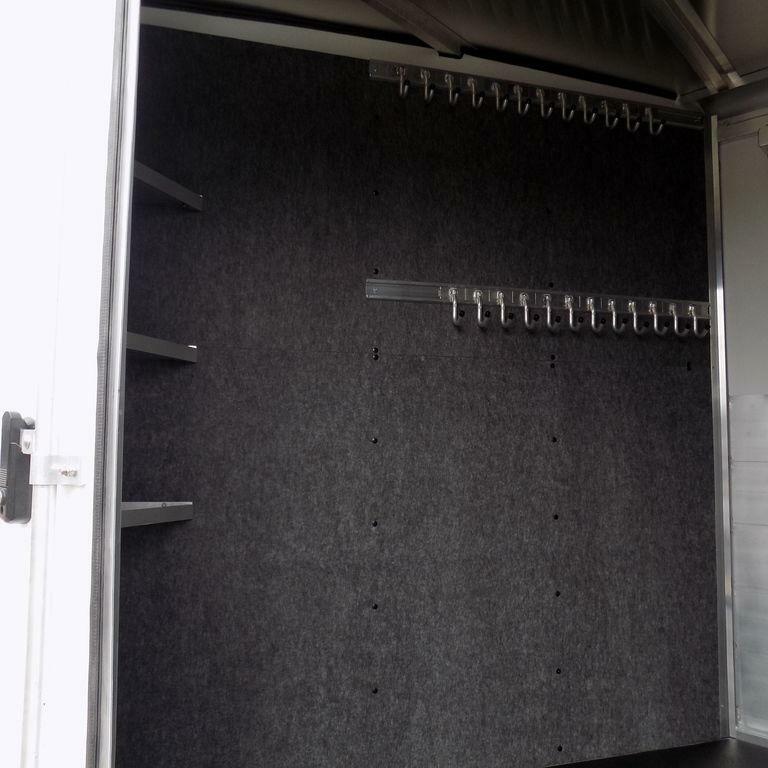 The Super Sport has removeable dividers, rubber floor mats and comes with a front tack storage room. 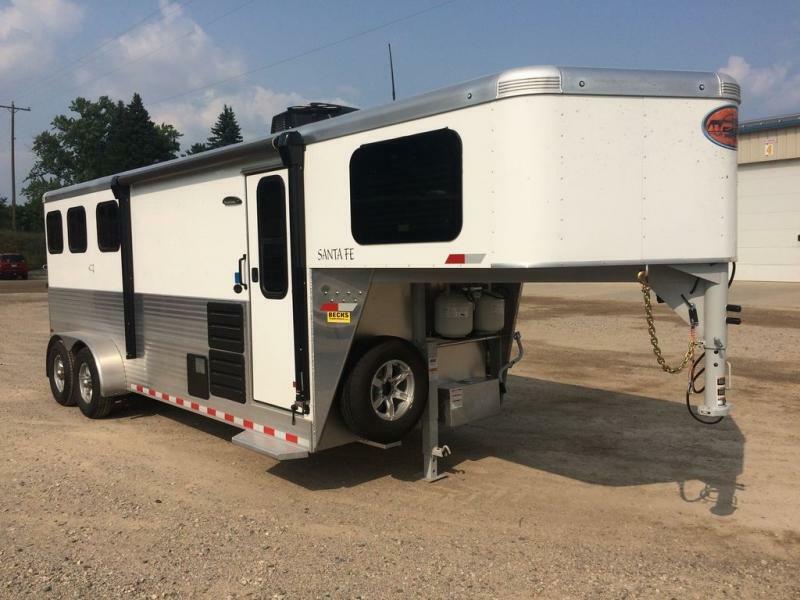 This trailer is perfect for hauling with smaller tow vehicles.